This blog is devoted to a trend in camera development, and to related features that are in your phone today. Cameras are moving from capturing photos to gathering light, and the trend is accelerating. Lenses are going away, and cameras themselves may also disappear as light-gathering devices become so small and ubiquitous that you will be able to call up images from virtually anywhere â€“ and then focus, crop, zoom, and edit as you like. Weâ€™re getting a taste of that in the evening news: when a crime occurs, images are gathered from security cameras in the area. 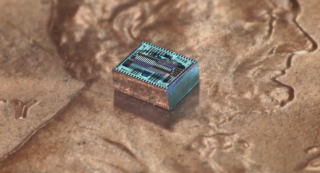 Cameras now in development are so small and inexpensive that they may be built into your watch, glasses, clothing or anything you commonly carry â€“ and they may be everywhere. You may askÂ dotphototo sort through the best images that you automatically gathered that day, or ask your theme park to track your location so their cameras can serve up a photo album for you to refine after your visit. If you take panoramic photos, your camera is acting as a light-gathering device: as you scan across an area, the software stitches together the image. You can edit the panorama afterward to produce the best possible shot. We think in terms of 4×6, 5×7 and 8x10s because itâ€™s cheap to mass produce prints and frames in standard sizes. However, the move to digital from film frees photographers from ratios.Â DotphotoÂ provides custom-sized prints, laminated prints, posters, and frames for panoramas and virtually any shape through our custom framing shop.Â Â Click here for more on printing custom sizes. That bump on your camera phone is too fat for a scientist at Caltech who has already miniaturized amplifiers for phones, put radar on a chip for self-driving cars, and designed an electromagnetic medical chip. His Optical Phased-Array (OPA) receiver collects light for processing later. Focus in or out, zoom, crop, and establish your picture later. One company,Â Lytro, already provides niche light-gathering cameras, but the OPA demonstrates that light-gathering technology can changeÂ photographyÂ dramatically.